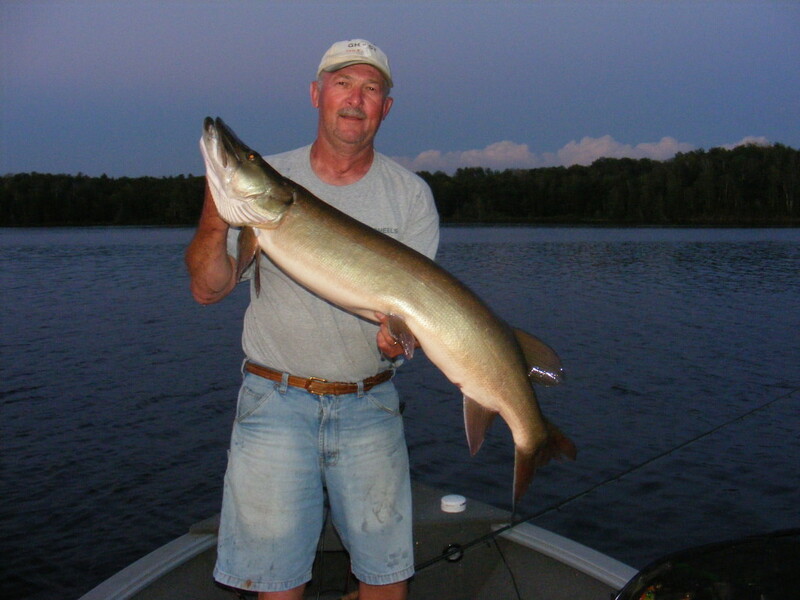 In 2009 Pete Rich caught the largest charted musky on the Chippewa Flowage. 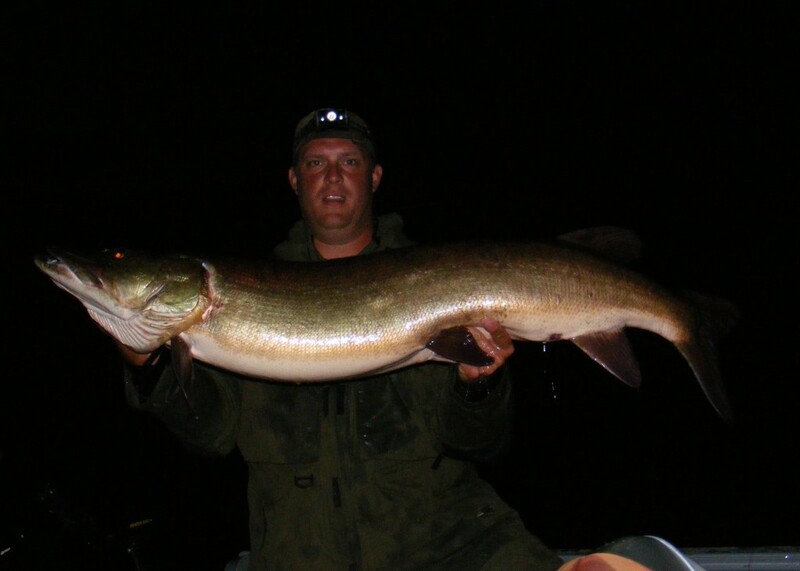 This early August 52″x24″ was caught on a creeper and is still Pete’s largest Flowage musky. The Chippewa Flowage is located in Sawyer County 15 miles east of Hayward, in northwest Wisconsin. With 233 miles of shore line, over 140 islands, and numerous floating bogs. The Chippewa Flowage offers a wilderness experience like few others. There is a seemingly endless amount of structure, that makes it both complex and challenging. The Chippewa Flowage has a long history as one of the best topwater lakes in the muskie world and that tradition still continues today. 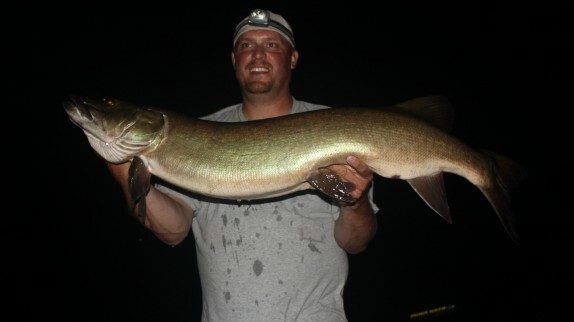 With the positive effects of catch and release, and a 50″ minimum length limit, has helped to steadily increase the average size of the muskies on the Chippewa Flowage. There is a great population of low to mid 40″ fish, with fish over 48″ becoming more common. 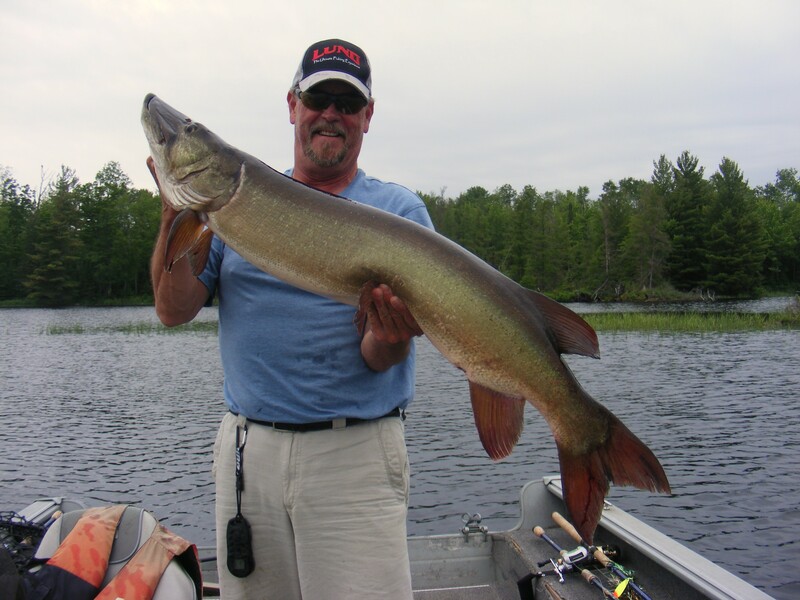 The Chippewa Flowage continues to be one of Wisconsin’s premier trophy musky waters.